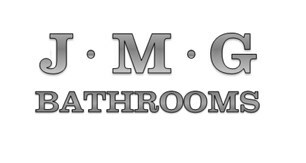 JMG Bathrooms Ltd. - Bathrooms based in Ashford Rd, Middlesex. We are a well-established family run business located in Ashford, Middlesex, trading since September 2003. We have a large, extensive showroom displaying quality branded products which will suit all budgets, these include Grohe, Geberit, Aqualisa, GSI, Bette, Kaldewei, Roper Rhodes, Crosswater, Matki, Merlyn and many more. We offer you a 'one-stop' shop, supply, fit and tile. Our expert team specialise in full bathroom installations, including wet rooms, tiling, baths, showers, fitted furniture etc. We’ll provide a professional, quality finish on any installation, making sure that you are left totally satisfied with the result. Come and visit our large showroom and tile shop with free on-site parking and we can design your perfect bathroom.